“It seems to me that you mostly export young people. You should find a way to keep them and export other goods more,” stated the US ambassador to Serbia, Michael Kirby, earlier this month. Unemployment remains rife in the Western Balkans. Demotix/Admir Idrizi. All rights reserved.“It seems to me that you mostly export young people. You should find a way to keep them and export other goods more,” stated the US ambassador to Serbia, Michael Kirby, while speaking at the Kopaonik Business Forum 2015 earlier this month. Ambassador Kirby’s statement is clear-cut and sobering, all the more so because it was delivered by a foreign diplomat rather than a Serbian official. The latter and their counterparts across the region would do well to pay attention. In the context of high unemployment rates and migratory trends towards the EU, brain drain in the Western Balkans remains an urgent issue. A cursory look at the statistics shows poor prospects for the region’s youth. ILO WESO Trends for 2015 and supporting data sets predict a youth unemployment rate of 38.8% for Montenegro and 47.5% for Serbia, while KHDR notes a 55.3% rate for Kosovo in 2012. Only in January 2015, 10,000 Kosovars applied for asylum in Hungary. Figures for Serbia also show an alarming trend, with large numbers of highly skilled professionals leaving the country every year. EU member states, as the first port of call for these individuals, are another major stakeholder, especially considering that Croatia is already a member state the other countries are either potential candidates or have a candidate status. The causes of brain drain in the region are diverse and numerous. The 2014 IMF Working Paper notes weak performance of the labour market which results in high unemployment rates and societal transformations in the process of transition and EU integration. However, these are just the tip of the iceberg. The more concerning trend, noted in recent research of the Council of Europe (final version to be available in April 2015) is politicization of youth and the resulting decline in their political engagement. Active participation in political parties as a way of securing a job, problems of nepotism and promotion on basis of non-professional criteria are taken for granted in the region. These conditions, though disturbing, nevertheless underline corruption and other internal causes of the phenomenon of brain drain. In relation to youth, they are a necessary evil for those who stay and an additional reason to leave for those who have the option to do so. However, not all youth leaves for these reasons. Some simply desire professional development, a larger academic network and the experience of studying and working abroad. These factors, together with the desire for a decent job are emphasized in the RRPP documentary relating to the status and conditions of young researches in the Balkans. RRPP’s policy and briefs produced within the National Policy Dialogues offer other useful pointers of the causes of brain drain. Inadequacy of higher education institutions is one of them. HEI in the region share low professional mobility, inadequate funding of scientific activities and underdeveloped research capacities in relation to methodology, data processing and use of foreign languages. If we add onto this the issues surrounding plagiarism, lack of regional cooperation and a gap between the teaching and the research process we paint a more complete picture of reasons which lead young researchers abroad. However, we must be careful of over-simplification. Even though the region shares many characteristics, each country has additional issues of its own, specific to its social, political and cultural environment. For example, Kosovo’s University of Pristina deals with a lack of human capacity to apply for international funds, small exposure to international cooperation and a lack of inter-institutional cooperation (Kosovo Policy Brief). Thus, when proposing solutions, we must apply a country-specific approach. Each country in the Western Balkans, indeed, has various mechanisms which deal with the question of brain drain. In terms of legislation, Montenegro has an expired National Youth Action Plan, expecting renewal since 2011, Strategy of Cooperation with Diaspora 2011-2014, an Action Plan related to it and a Draft Law on the Cooperation of Montenegro with Diaspora from 2014. Serbia has an old National Youth Strategy and is currently working on drafting a new one, Law on Diaspora and Serbs in the Region from 2009, as well as a Strategy relating to Diaspora from 2011. Kosovo has a Youth Law, a Youth Strategy and an Action Plan relating to it, Law on Diaspora and a National Strategy on Diaspora and Migration for 2013-2018. All countries have a body designated to deal with diaspora related issues. Just like legislative mechanisms, projects and activities related to their implementation abound. However, their numbers do not indicate success in addressing the problem of brain drain in practice. 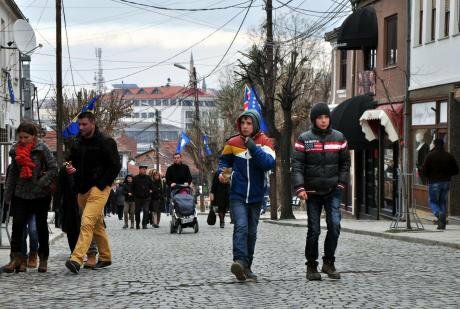 As the data on youth unemployment, brain drain and wider migratory trends show – the Western Balkans need quality rather than quantity of mechanisms. Thus, even though there are positive examples in the region, there is still a large discrepancy between theory and practice. An example of positive developments addressing the issue of bureaucracy in relation to recognition of qualifications is a creation of an ENIC/NARIC center in Serbia. On the other hand, Directorate for Diaspora’s project on a database of students and researchers who have returned to Montenegro in cooperation with OMSA addresses the lack of reliable data on brain drain in the region. A major area still awaiting change is the attitude towards brain drain. Most regional actors and mass media representatives continue to understand the issue within the traditional brain drain/brain gain models. They focus on the socio-economic causes of brain drain and its negative effects, seeking solutions that will bring back and permanently keep highly skilled professionals. In doing so, they fail to acknowledge the importance of mobility for individuals and potential for positive impact of brain drain. An alternative approach, the brain circulation model, is more flexible and better aligned with the complex migratory trends of highly skilled populations. It acknowledges positive impact of brain drain (skills and experiences of returnees, worker remittances from expatriates, the value of transfer and exchange of knowledge and technology). It also allows for flexibility in understanding mobility as a personal choice and seeks to create knowledge networks of professionals in the country and abroad rather than re-locate them to their country of origin. Even though brain circulation model has been present among the experts on the issue for more than a decade, it is only starting to take root in the Western Balkans. As a consequence, there is still a discrepancy between the way brain drain is understood among various national and international actors (youth, mass media, government and non-government bodies and international organizations). A positive example of a shift in attitude is Kosovo’s Brain Gain Fund. The project was launched in 2010 with the aim to bring back senior researchers and re-locate them permanently in Kosovo. After failing to spark any interest, the ministry in charge of its management changed its focus on provision of funds for top professors to spend their sabbatical years in Kosovo. The Montenegrin Directorate for Diaspora demonstrates a similar shift in attitude in acknowledging the need for the brain drain question to be considered in a new manner and in focusing its efforts on developing knowledge networks. A strong advocate of transforming the idea of brain drain into a brain network, which emphasizes the role of NGOs and other actors in this issue, is OMSA and its director Aleksandar Jacimovic. There is a need for a coordinated action of all involved stakeholders on all of the issues explored in this article. An area where a regional approach might be especially helpful is creation of a reliable database on the issue of brain drain since a lack of data remains a challenge for the region. On the other hand, the need to work on creating quality mechanisms rather than increasing their quantity, while a region-wide issue, might be better addressed through a country-specific approach. While efforts on overcoming bureaucratic impediments and establishing contacts with Diaspora networks exist, those relating to provision of incentives in form of short-term positive discrimination in employment, tax and housing areas, or contractual agreements to return by scholarship sponsors are generally lacking. In addition to these new issues, the old underlying causes of brain drain, such as the weak performance of the labor market, corruption, politicization and the lack of trust in the educational system likewise need addressing. A good start might be reform of higher education systems, especially relating to the lack of emphasis on research and financing of HEI. Finally, and most importantly, there is a need for a new approach towards brain drain in the region. It is necessary to bridge the existing gap in attitudes and perceptions and shift the long-term brain drain policies towards the model of brain circulation. In doing so, however, we must not forget that mobility in the Western Balkans still remains a privilege and a necessity caused by the socio-economic environment rather than simply a personal choice. As ambassador Kirby noted, we must continue working on keeping, rather than exporting our youth, even while creating knowledge networks and implementing the brain circulation model.